The Sons of Scotland Pipe Band were first heard in Ottawa in 1896 performing on behalf of their Benefactors, the Sons of Scotland Benevolent Association as part of their organization. 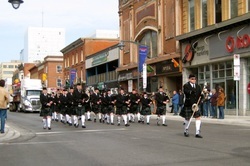 To hire the band for an event or parade, please contact Pipe Major Bethany Bisaillion at bethany.bagpipes@sympatico.ca. A small pipe band consisting of dedicated individuals, Mac an Alba specializes in traditional favourites played with a modern twist. For more information, contact Pipe Major Bethany Bisaillion at bethany.bagpipes@sympatico.ca. Neil McDaniel originates from Cape Breton Island and carries his own vibrant brand of Celtic music. He has earned himself an East Coast Music Awards nomination for Best Roots Album and has entertained audiences from the Maritimes to the Ottawa Valley and across the Atlantic to the West Coast of Ireland. McDaniel holds true to his Irish heritage and this is evident in his singing and performances on mandolin, guitar, whistles, and piano. He currently resides in Ottawa and is strongly connected wth this regions Celtic community. His lively performances encompass a flavorable recipe of music, with sizzling fiddlers and a dynamic cast of great Celtic musicians always ready to bring on the tradition. 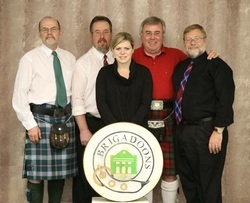 Formed in 1971 by Rob Taylor, The Brigadoons have, through all these years, promoted the Celtic music so popular in Glengarry County. Over the years the band has had many members who epitomized the vast talent present in the county. A wonderful band who can add so much color and fun to your event - visit their site at www.thebrigadoons.com for more information. promotes Gaelic language, singing, dancing and piping activities. society and around the world. Visit www.gaidhligottawa.ca for more information on this amazing group of talented people supporting the Gaelic arts in the Ottawa region. 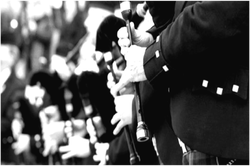 Whether you need a haggis piped in or you just want to add a regal air to your next event, a piper is your best bet. We maintain a database of professional and semi-professional performers ready to add that touch of class to your upcoming affair. 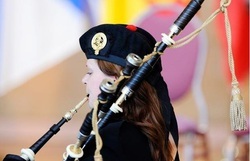 Contact Bethany Bisaillion at bethany.bagpipes@sympatico.ca. Rae MacCulloch founded the MacCulloch School of Dancing in the Fall of 1954. We provide training in Highland and Traditional Celtic-Canadian Step Dancing. 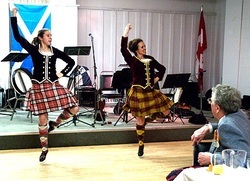 The MacCulloch Dancers of Ontario, Canada love to dance. 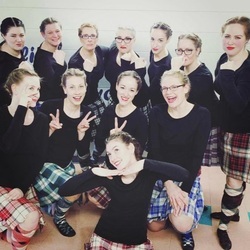 The MacCulloch Dancers have met with much success and recognition both locally and abroad. The Katharine Robinson School of Highland Dancing was founded in 1968. The Director, Ms. Katharine Robinson, is a Life Member of the British Association of Teachers of Dancing (B.A.T.D.) and a Member of the Judges Panel of the Scottish Official Board of Highland Dancing (S.O.B.H.D.). Initially, the School started in the Robinson's family home with 10 students. Today it has grown into a strong and vibrant dancing school with more than 75 students ranging in age from 4 to 54. Sherry's School of Highland Dance is a Scottish Highland Dance school located in Kanata, Ontario. We offer highland dance instruction from ages 4 to adults. Levels from Beginner to Premier are taught under the British Association of Teachers of Dance (BATD) Syllabus. Classes are offered weeknights and weekends. Sherry has over 20 years of dance experience, and has been teaching Highland Dance for the past 10 years. She is a Member of the British Association of Teachers of Dancing (BATD). 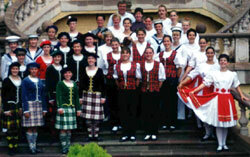 Sherry's School offers performances, ceilidhs, and wedding honour guards and performances. group, visit their website at www.celticcrossdancers.com for information on how to join and how to book them for your event.